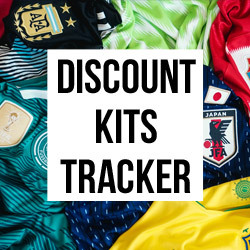 We are now firmly in the betting sponsor era of football shirts. Like it or loathe it, the vast majority of shirts in England’s top divisions are sponsored by names such as bet365, Dafabet and LeoVegas. You can’t say they didn’t warn us (Ray Winston certainly did his best), but it’s still a little sad to see 9/20 teams in the Premier League sponsored by companies from the same stable. It’s even worse in the Championship, with an eye-watering 17 clubs out of 24 suffering the same fate. There are no signs of this trend letting up, at least any time soon. But thankfully we don’t have to look too far back to appreciate a time when the shirt betting sponsor was something of a novelty. In the weird and wonderful world of shirt sponsors, some stand out more than others. Occasionally brands are so popular that the shirt they decorate is immediately enhanced by their presence. 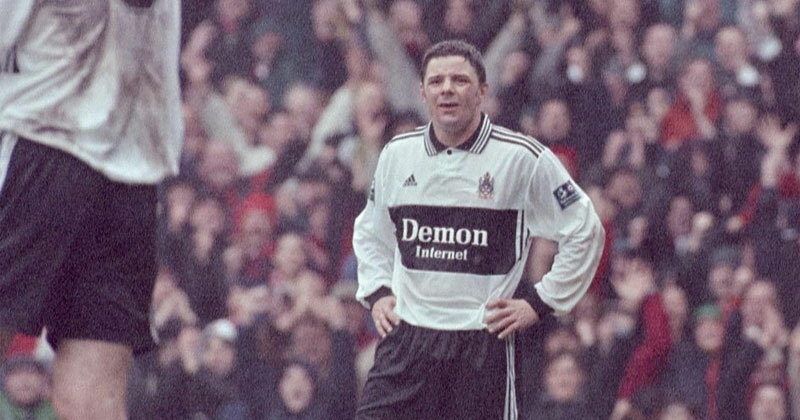 And then you have examples like Fulham in the late 90s, and their infamous “Demon Internet” shirts. I don’t know the origins of Demon Internet as a company, but something about the name makes me smile every time I see it. Perhaps it’s the fact the logo looks hilariously reserved considering the name. And it makes for a memorable sponsor. 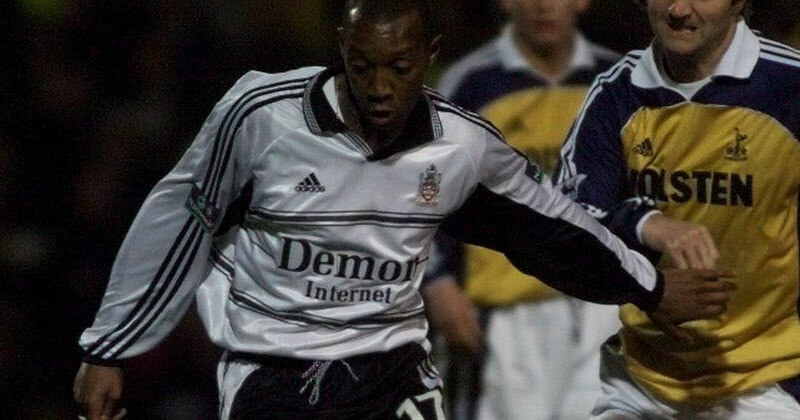 Fulham were first sponsored by Demon Internet in the 98-99 season, and their home shirt that year featured a thick black band covering the shirt, with thin white stripes running either side. “Demon Internet” stands out right in the middle, cut out with not a hint of nuance. In the second year of Fulham x Demon Internet, adidas changed things up by stripping out the black band and instead bordering the sponsor with triplets of lines. The combination of this pattern, the classic three stripes on the shoulders and more stripes in the collar and neck was a lot to take in, but the simple black and white colour scheme helped temper proceedings. Both these shirts gained something of a cult status, and it was no surprise to see adidas call back to this era with their new home shirt for The Cottagers this season. So how would Fulham follow up their Demon Internet days? With one of the biggest names in the food industry. I love food and drinks sponsors. 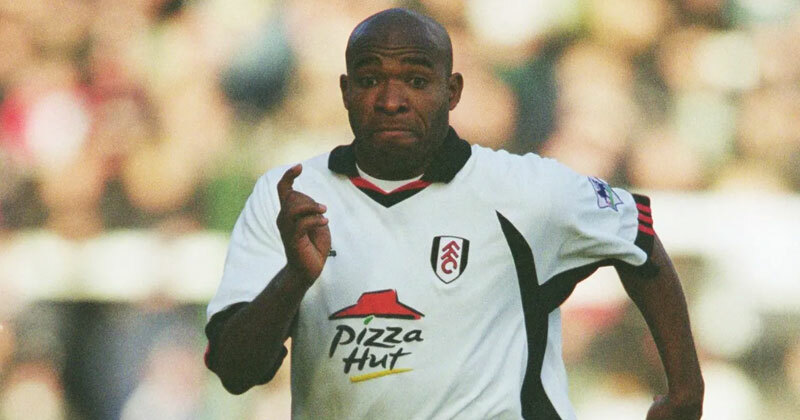 Some of the best logos and names can be found in the industry, and in 2001 Fulham ‘stole’ one of the big boys partnering with the home of everyone’s favourite all-you-can-eat lunchtime pizza buffet: Pizza Hut. 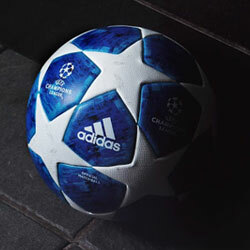 At the same time as the sponsorship shift, the club also rebranded with a new crest. This fresh design was a huge departure from the previous edition, moving from a coat of arms to a streamlined shield. It all made complete sense in tandem with the Pizza Hut logo. The away shirt from that same season featured the traditional colourway of red and black, with bold stripes and tasteful white detailing on the collar. And there it was again, the Pizza Hut logo in all its glory. Like the home shirt it’s made memorable purely for the sponsor alone. Stick 32Red on it instead and you realise how forgettable a design can be without the right support. And, as if they knew we would be discussing this subject, Fulham pretty much did that when they became the first club to feature a betting sponsor in the Premier League. Using the exact same shirt design as the 01/02 season, we saw the introduction of betfair.com instead of Pizza Hut. 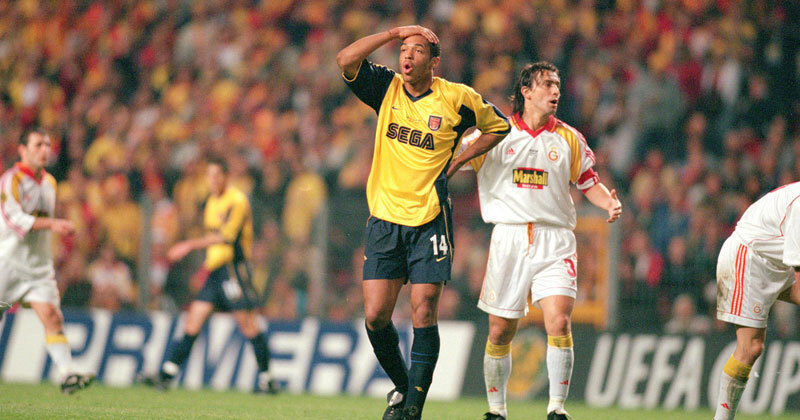 When you compare the 01/02 and 02/03 shirts, there’s only one winner. 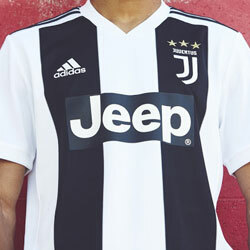 The only difference is the sponsor, but that difference is enough to bring a relatively vanilla design up a few notches. Another personal favourite sponsor of mine was found up at Wolves. After a long term deal with Goodyear which spanned the entirety of the 90s, Wolves made a big change in 2002. Into the mix came everyone’s favourite tortilla snack, Doritos. Much like Fulham and Pizza Hut, the marriage was a happy one with Wolves’ iconic crest a perfect compliment to the Doritos logo. The colours worked superbly well too, with the red, yellow and white appearing almost flame-like against the amber body of the shirt. It was notable that Admiral produced the shirt, with the brand now almost non-existent in the game. But their efforts for Wolves 16 years ago hit all the right notes. Another honourable mention has to go to Arsenal. The Gunners were of course no strangers to great shirts, but like Wolves they upped their game after a long standing sponsor partnership to great effect. In 1999, JVC went out the door only to be replaced by video games giant SEGA. Like food brands, video game brands completely transform a football shirt when appearing as a sponsor. The Arsenal x SEGA combination was a great match, and interestingly we saw “Dreamcast” across the home shirt and “SEGA” across the away. 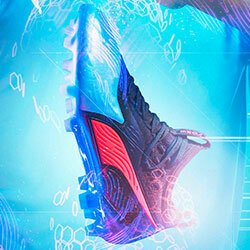 This multi-pronged attack from a brand is rarely seen today, but it worked well in North London. 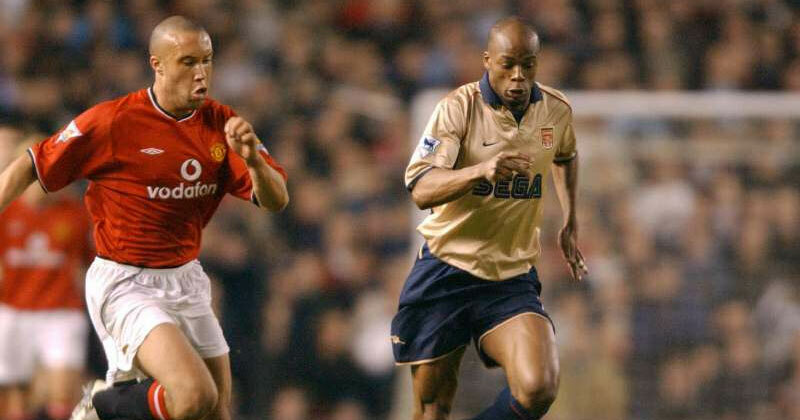 My personal favourite during this time is the 2001/02 away shirt, with the combination of a pale gold shade and the wonderful SEGA logo across the front. 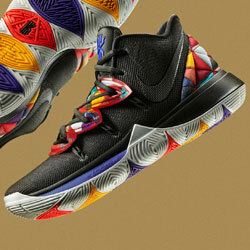 Red trim and navy blue detailing for the swoosh, cuffs and collar all combine for a refined look. The home shirt shirt from the same year was just as classy, with the Dreamcast logo in white complimenting the white sleeves. Despite all these features, you have to ask yourself: would this shirt be as memorable with Fun88 as a sponsor? With the right sponsor, a good shirt can be made great, and average shirts retain a sense of dignity. Fulham, Wolves and Arsenal are all testament to this, and their stories serve as a reminder that there is so much more on offer in the shirt sponsorship world than Unibet and SportPesa.